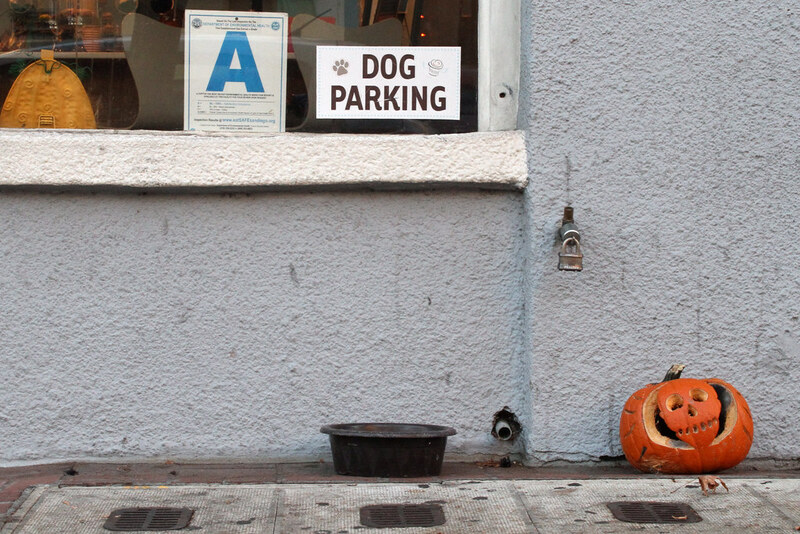 A welcoming Jack-o-Lantern near a “dog parking” spot in San Diego, seen back in October 2013. 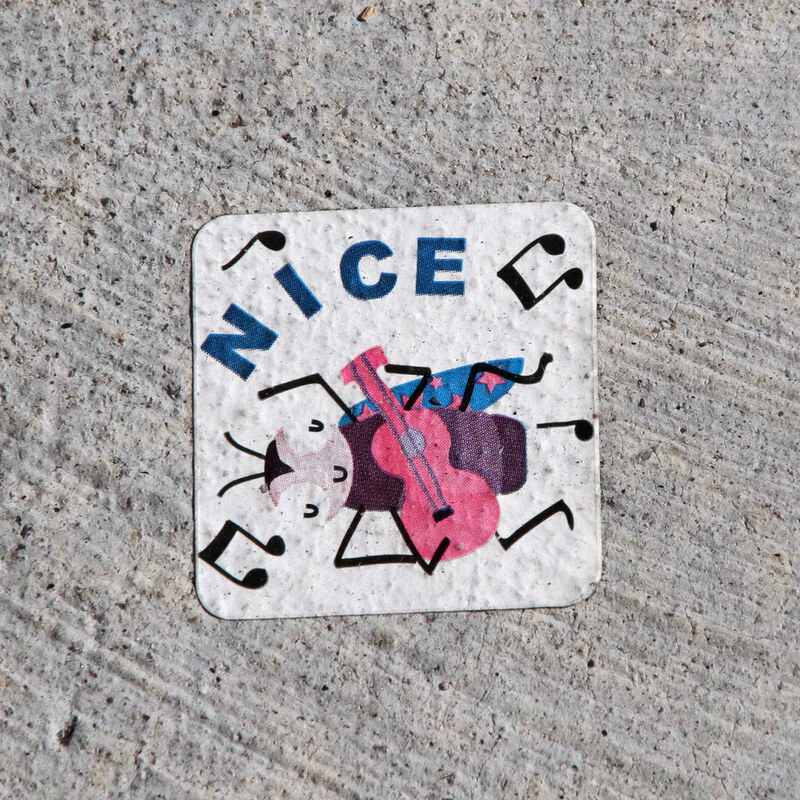 Just a random sticker spotted on the sidewalk in La Jolla, California, way back in October 2013. 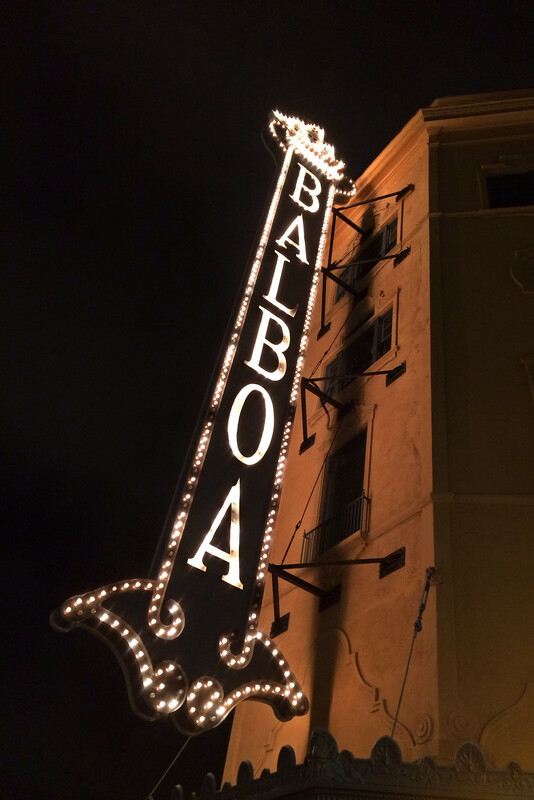 Another beautiful theatre marquee, this one spotted during my visit to San Diego four years ago. 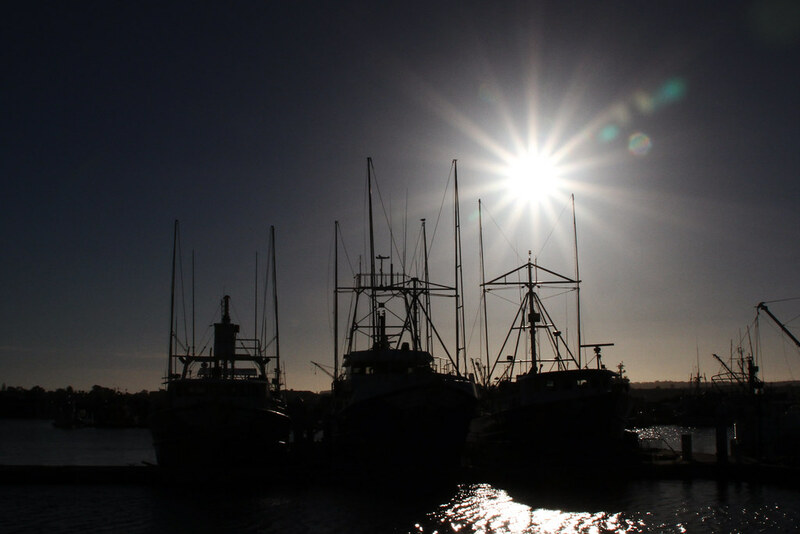 Another batch of photos from my trip to California last year … if for no other reason than to aid with a mental escape from the sudden onset of dreary weather around Calgary. 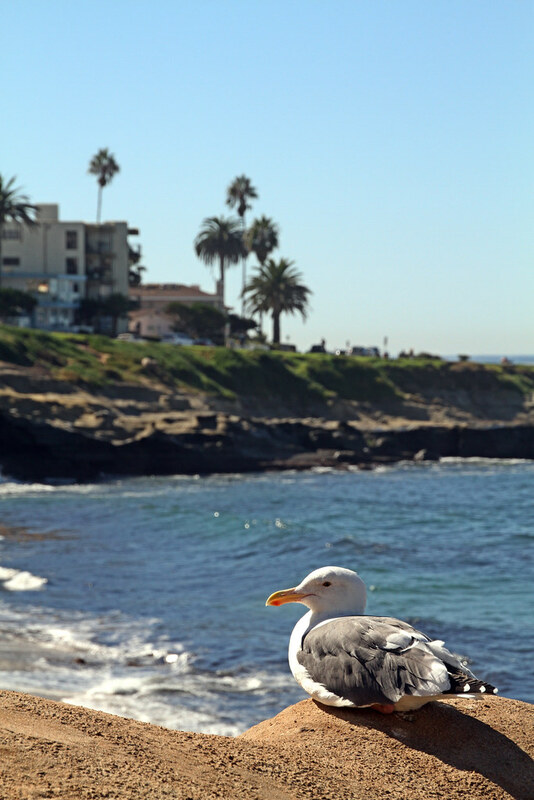 Today: Scenes from lovely San Diego. 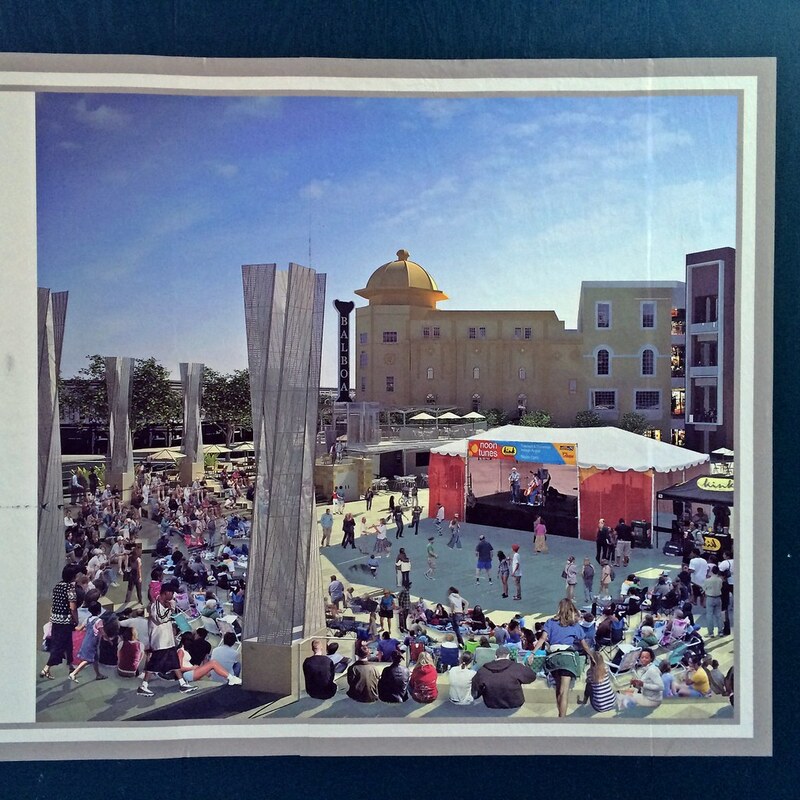 Digging through some photos from late 2013, I came across this quick snapshot of a poster reproducing an artist’s rendition for a remake of Horton Plaza Park in San Diego, above. 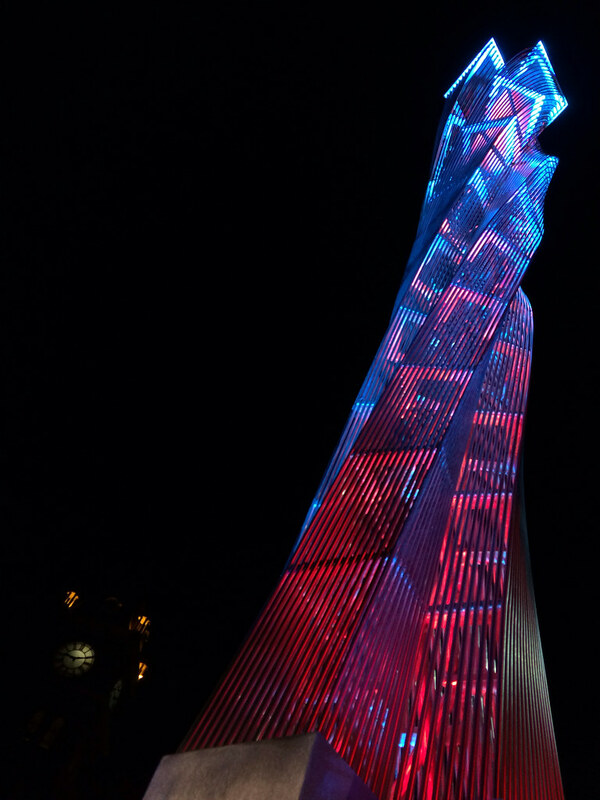 It struck me at the time how much those tall metallic columns really look like the Luminous Crossing towers of light at either end of the Calgary transit mall, below. There’s no evidence (none I could find, anyway) the same artist is responsible for both, which makes this visual/design coincidence even more striking. 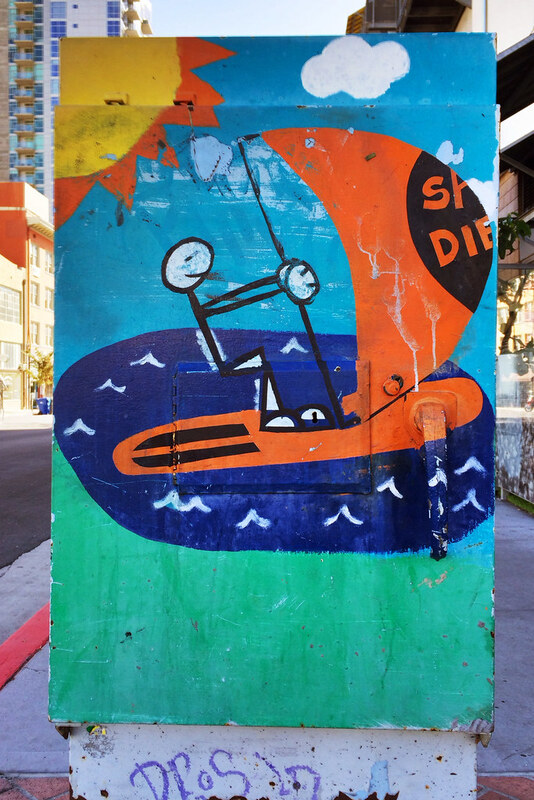 Spotted this on a utility box in the old quarter of San Diego, back in the fall. 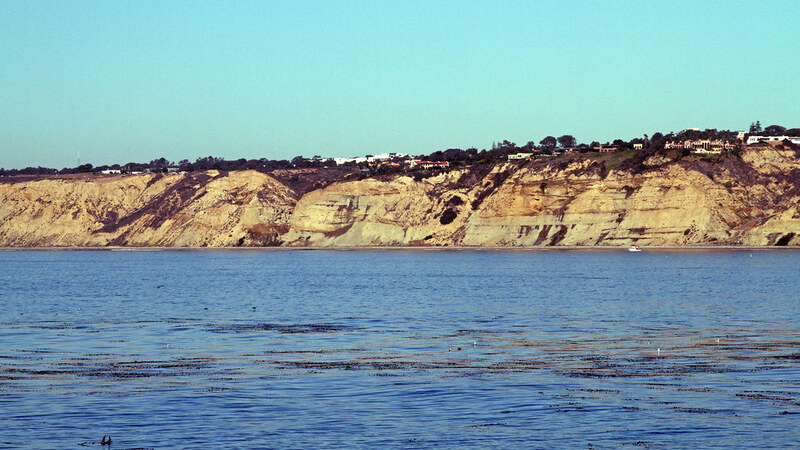 A must-see attraction in San Diego, the U.S.S. 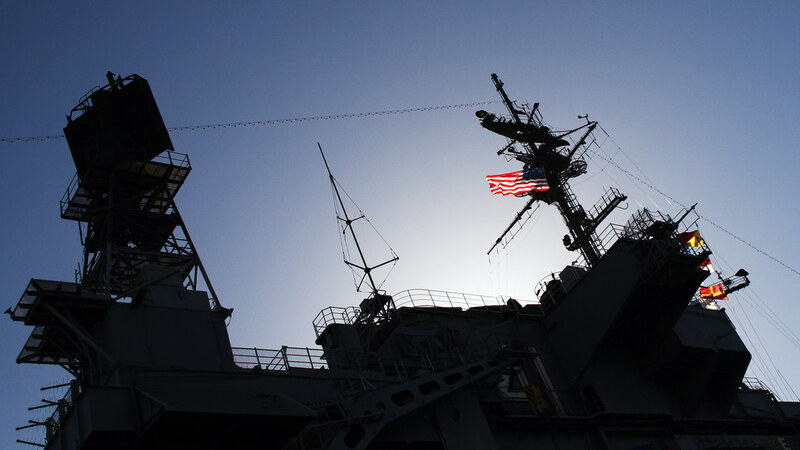 Midway Museum documents the history of this storied aircraft carrier and U.S. servicemen’s life at sea in general. … because it’s not very warm right now here at home! 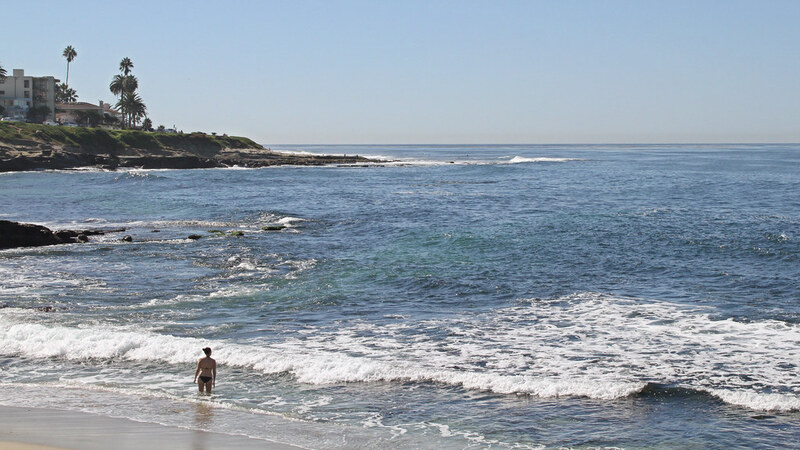 This brief moment of escapism comes to you by way of the beaches in La Jolla, San Diego. 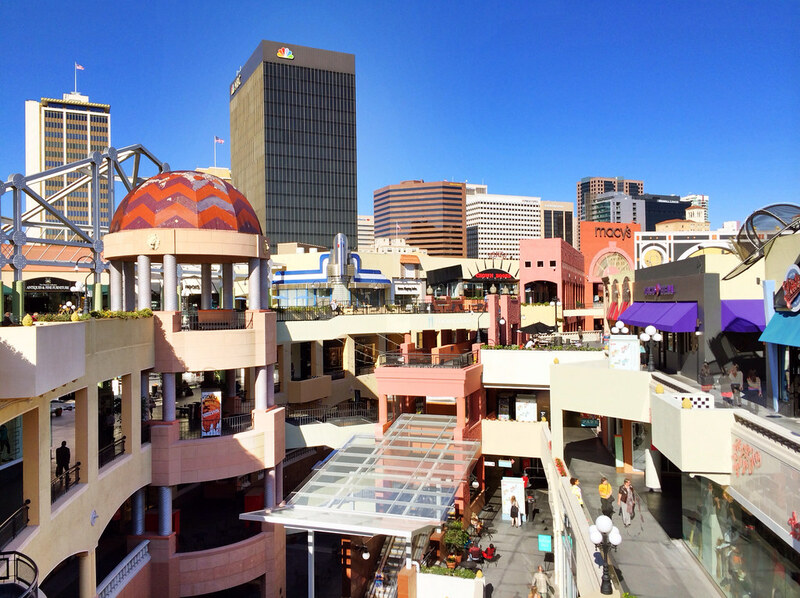 Cool lightning on this building in downtown San Diego. 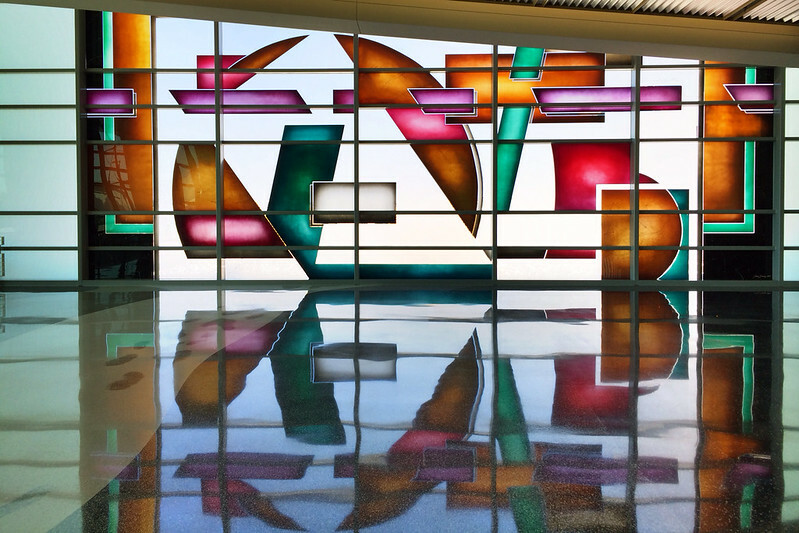 This lovely piece of stained glass adorns one end of Terminal 2 at the San Diego airport.